Chances are good that you’ve taken antibiotics before at some point in your life. In fact, approximately 80 percent of Americans are prescribed antibiotics annually.1 Unfortunately, the problems associated with antibiotic use extend even beyond that of increasingly resistant bacteria. New research now suggests that longer-term antibiotic use may promote abnormal growths in the colon that can lead to cancer. The study, which took place at the Centers for Disease Control and Prevention in Atlanta, Georgia, found that taking antibiotics for a slightly longer period may be linked to the development of adenomas, which are polyps in the colon that can eventually become cancerous.2 These results were based on a sampling of 16,642 women in their 60s who participated in the Nurses Health Study. Those who had used an antibiotic for two months or longer between the ages of 20 and 59 were considerably more likely to have an adenoma detected during a colonoscopy than their peers who had not taken these drugs for an extended period. A connection wasn’t found between use of antibiotics in the four years prior to the colonoscopy exams that the women each had at some point between 2004 and 2010. However, taking an antibiotic for two months—which may be prescribed to treat a chronic infection—while in her 20s or 30s was related to a 36 percent increase in risk for adenoma growth. And the risk jumps higher for those who used the drugs for a prolonged time in their 40s or 50s. Don’t think there’s no danger if you’ve only taken shorter-term prescriptions. The subjects who took an antibiotic between their 20s and 50s for longer than 15 days were also at an elevated risk for colon adenomas. And the researchers believe there is no reason why the same results would not hold true in men. The study was not designed to prove cause and effect, but to determine whether an association exists between longer antibiotic use and the prevalence of adenomas. Therefore, we can’t say from these findings that the drugs cause the adenomas, but we can certainly say that those who used them are at higher risk. Part of the issue may arise from the bacteria that the antibiotics are being prescribed to treat, since certain kinds can promote inflammation, which can be a contributing factor for colon cancer. But the other issue is certainly the antibiotics themselves. 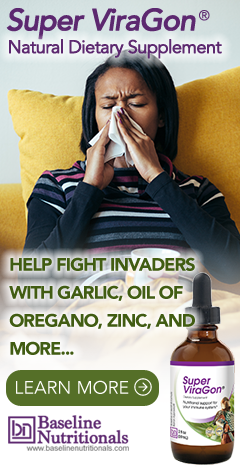 It is well established that antibiotics affect not only the harmful bacteria that are causing an illness, but also all of the beneficial bacteria that reside in our gut. Antibiotic use alters both the number and strains of bacteria that are present from the normal diversity that occurs and can leave us susceptible to many health problems. Therefore it makes perfect sense that more frequent or longer-term use of these drugs could potentially change the overall setting of the microbiome in a way that leads to lowered immune function and the development of abnormal growths. Many cases of colon cancer begin as polyps; so even if they are precancerous, removal is generally recommended when they are found during a colonoscopy. Colorectal cancer is the third most common form of cancer in the United States and the third leading cause of cancer-related mortality. Now obviously, there is nothing you can do at this point if you were prescribed a longer course of antibiotics a couple of decades ago. But moving forward—no matter what your present age—your best bet is to be cautious about taking antibiotics. Some doctors are happy to prescribe an antibiotic for you if you have a sick visit to complain of cold symptoms. But most colds are viral and will not be eradicated by drugs; all you are doing is disrupting the bacterial balance in your gut. Instead, stay hydrated, take vitamin C, and clear your sinuses with a nasal irrigation. If you have a confirmed bacterial infection, make sure you take a probiotic that can help the beneficial bacteria survive. If you bolster your system with a healthy lifestyle in general, you may find not only are you getting sick less frequently, but the duration of your illnesses is much shorter too. And that will mean reducing your chances of getting prescribed an antibiotic for any reason. And as Jon Barron says, make sure, after you have used any antibiotics, that you aggressively rebuild your intestinal flora STAT with a complete probiotic formula from a source that you trust. 1. Hicks, Lauri A.; et al. "U.S. Outpatient Antibiotic Prescribing, 2010." New England Journal of Medicine. 11 April 2013. Accessed 10 April 2017. http://www.nejm.org/doi/full/10.1056/NEJMc1212055#t=article. 2. Cao, Yin; et al. "Long-term use of antibiotics and risk of colorectal adenoma." Gut. 4 April 2017. Accessed 12 April 2017. http://gut.bmj.com/content/early/2017/03/16/gutjnl-2016-313413. In fact, antibiotics are not required, no matter whatever is the nature of the disease, because homeopathic remedies are so effective in the hands of an expert homeopath that he can take care of any disease highly effectively. Typhoid is curable with in three days maximum, UTI in a single day, though it is always advised to continue medicines for sometime, any infection including fungal is curable. In homeopathy, tuberculosis is an easily curable disease, medicines are so effective the result can be noticed simply within a fortnight, even for prevention of tuberculosis there are excellent remedies for doctors, one can take a dose fortnightly and he can remain immune to infection. I tried to push my theory to the WHO and other world organisations, unfortunately there are no takers. Though people are dying due to MDR and XDR TBs, yet the arrogance of the allopaths does not permit them to accept their defeat. In MDR TB a patient has to take everyday handful of drugs for twenty months minimum, for XDR TB there is no prescribed limit for how long a patient should continue with the medicines. Theses drugs are so toxic, the patient is bound to die either due to kidney failure or hepatic toxicity. What a tragedy with mankind! But still our modern day physicians do not accept their failure. What does it indicate, more than a patient or a human being they love only their system of medicines. I am not making a hollow claim, I am talking with full confidence, which I acquired treating thousands of patients successfully for years. Human being is above every system, this fact is to be imbibed by every doctor. I appeal to all doctors, if you love human being then give up your habit of sticking to a patient, if you feel you can provide relief! Let us cultivate a habit to love humanity, a human being cannot be bound to any system of treatment. Years ago I had Hy Pylori issue and was advised to do a long period of antibiotics and I refused. I decided to do my own regime (years ago) and took three of your products...Probiotics, Enzymes, Immunity Plus (now ViraGon). To our amazement and their doubt it took care of my issues. I also recommend and use the Colon Activater and ViraGon and fast a day before, before a colonoscopy instead of there chalky nasty drink. And that worked perfectly too. And lastly, I was asked if I wanted to take antibiotics for two weeks before my one molar extraction and refused it knowing by taking ViraGon and Oregano Oil would be more beneficial. The dentist was amazed at the quick recovery and faster healing. That following month my husband did the same. Dentist said he would offer his other patients that opportunity if they chose to do so. So I gave them the website and product information. I wouldn't sell my soul to the devil but I'd sure sell any of your products. A life long (25+ years) customer. What an amazing testimonial! Thank you for sharing. I will forward this on to Baseline Nutritionals where they sell product. Had multiple GI tract complaints, before progressing to PUD (stomach ulcers), as did most of my family. before H. pylori was even heard of. Took lots of antacids and Probanthines, etc. prior to stumbling on the cause of the all those GI symptoms was eating anything made with bleached flour. Some research done years later on PUD revealed that PUD was not a problem until it hit the upper socioeconomic class, a number of years later, it moved into the middle socioeconomic class, and about the same number of years later moved into the lower socioeconomic class. moved into the middle class the same number of years after it got cheap enough they could afford it - and moved into the lower class when someone came up with a bleaching process that made it cheap enough that the poorer ones could afford it. After reading that some people said drinking a glass of water with a tablespoon of apple cider vinegar in it got rid of their acid regurgitation, which I like most thought was caused by too much hydrochloric acid production, I tried it the next time I got a rare bit of acid indigestion. Gone within 15 minutes. Next read Dr. Jonathan Wright's opinion that the cause of it was too little stomach acid instead of too much, which revised my final opinion a little more. I still think all those symptoms of acid indigestion, frequent nausea, pain of stomach ulcers, gas, bloating and constipation, etc. is caused by the bleached flour, which prevents the stomach from secreting enough hydrochloric acid to digest our food, which also possibly makes it a nice home for the H pylori that orthodox medicine has decided is the pathogen that causes the problem. Since my stomach problems were gone within a week of not eating any bread or other bleached flour product, before anyone ever heard of H pylori, without any other treatment - to all of you out there with PUD or other digestive complaints - it makes more sense to know the cause and eliminate it than it does to keep just treating the symptoms. Life has been much more pleasant since I discovered the cause and quit carrying all the antacids and probanthine tablets with me to treat the symptoms. However some people get annoyed with my asking if the bread, cakes, gravies, etc. are made with bleached flour. My taste buds can't tell the difference, but my stomach sure lets me know, usually within 15 minutes of eating even one bite of anything made with bleached flour. What is best way to learn this. I am a functionally and conventionally trained MD. Thanks! Really enjoyed the article. Have you read Jon's book, "Lessons From The Miracle Doctors"? Click the link at the top of the page "Free Book." You can get the first edition for free or you can buy the newer extended version. I would start there, and just search on this site, it is loaded with very technical information about natural health. Enjoy! Considering the immune system is actually what kills off the pathogens that make us sick, isn't it logical that since the principal of giving a toxic poison in a dosage designed to kill off the pathogen, but not the host - then the antibiotic only works to slow down the growth of the pathogen and give the immune system a chance to work. Problem here is that we now know more about the immune system and how it functions. We know that 60% or more of it's work is done in the intestines and those little symbiotic organisms that reside in our gut is part of the immune system and the antibiotics also kill off our friendly little symbiotic guys and let the bad guys like candida albicans take over. which worsens the problems by killing off the good guys in our intestinal tract and then we really fall prey to pathogens because our immune system is damaged. Wouldn't it make more sense to realize that most of the diseases we are treated with antibiotics for are not disease, but symptoms of poor nutrition and strive to improve our eating habits to provide our immune systems with the nutrients it needs to stay healthy and function properly? True! Most of the diseases are associated with deficiency of one or the vitamin or mineral, but they are misdiagnosed, and accordingly treatment is given and suffering of the patient multiplies, and again new antibiotics or painkillers or enzymes are prescribed. This is the tragedy with modern system of medicines, unfortunately most the doctors do not learn from their faults. Let us examine hypothyroid cases, why of late cases of hypothyroidism are on the rise, despite intake of iodised salt. My question is: by propagating intake of iodised salt aren't we going for overdrive? Anything taken in excess of body's requirement is definitely contra-indicated. Even in terms of treatment of hypothyroid cases, lifelong intake of eltroxin is advised in most of the cases, but they cannot even think that simple intake of calcium supplements in almost all cases cure hypothyroid problems. Unfortunately, crude calcium in not being absorbed by the body after menopause in women due to deficiency of female hormone, hence body has to be prepared to absorb calcium, which is not known to an allopath. , therefore, osteoarthritis is not curable with calcium supplements.